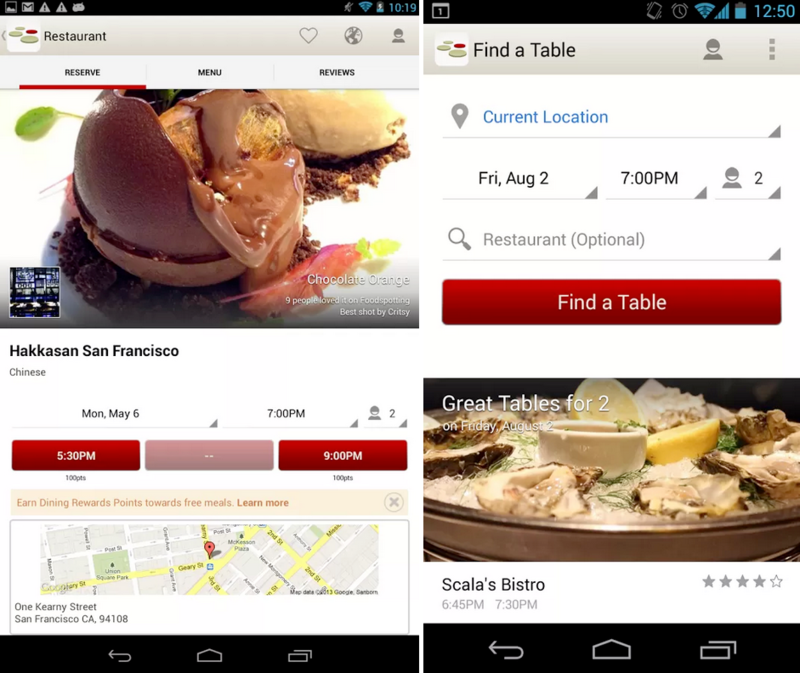 The OpenTable team released an update for their official Android application, bringing a much cleaner and sophisticated look for the app and its search results, mainly. When you open the app, OpenTable will feature highly-rated places to eat that are near you, making your decision making that much easier. No more pleading for your date to tell you what type of cuisine she/he wants. In addition, you can view ratings in search results, plus the user can now sort by ratings. A full look at the changelog can be seen down below. We’ve completely overhauled the experience when you first launch the app, making it much easier to quickly get to search results. Great Tables: We now feature highly-rated restaurants with availability when you launch the app. You can now view ratings in search results AND sort by them!